This beautiful Charm Spirit filly is bred on the same cross as Magic Millions winner HOUTZEN and is out of the Lohnro mare Roadtoplatinum- a half sister to multiple stakes winner KAEPERNICK. "I purchased Kaepernick as a yearling and this filly is very typical of the family- a speedy, very neat type" commented John O'Shea. She is from the family of the 2018 Group 1 Moir Stakes placed SPRIGHT. Charm Spirit (by Invincible Spirit) is a three times Group 1 winner in Europe and a winner of over €1.4 million in prize money. His 2014 World Thoroughbred Rankings rated equal to Chautauqua, (Its A) Dundeel, Olympic Glory and ahead of Dissident,Toronado and Adelaide. He is from the family of Encosta De Lago and Flying Spur who have made their mark on Australian Racing. 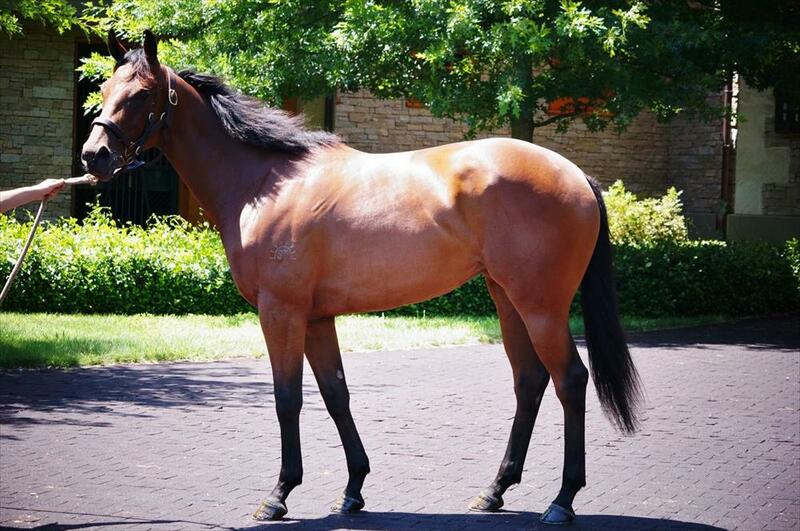 His southern hemisphere progeny have just turned two and he had his first trial winner, an un-named colt, win the first 2-year-old trial in New Zealand beating progeny of Zoustar, Pierro, Savabeel, Dissident and Super Easy. His northern hemisphere 2yo progeny have already hit the ground running, notching up 20 winners - including stakes winning filly YOURTIMEISNOW and multiple winner Bailly and exciting young miler Kick On. Jason Abrahams comments: Being bred on the Sadler's Wells / Nureyev cross attracted us to her genetically. She is out of a Lonhro mare who is a half to KAEPERNICK so we know the family very well. There was plenty of competition in the ring for her because she looks such an exciting prospect. Her sire Charm Spirit was a triple Gr1 winning sprinter and is a son of Invincible Spirit who is doing such an amazing job as a sire himself and also as a sire of sires through I Am Invincible down here.